This is often referred to as ‘neurotransmitter testing’ although that term does not properly describe the extent of the test. As we discussed earlier, neurotransmitters are chemical messengers; when neurotransmitter levels are too low or imbalanced, the messages get garbled and symptoms of disease or disorders develop. The way to correct this is by restoring proper neurotransmitter balance by providing the body with the nutrients it needs to restore proper neurotransmitter function. However, it isn’t quite as simple as giving the body the nutrients and having it ‘make’ the necessary neurotransmitters. The primary determinant of neurotransmitter levels in the body is the functional status of molecules called transporters. Transporters, which are molecules in the cell walls, facilitate the movement of neurotransmitters in and out of the cells, including the neurons. Neurotransmitters cannot cross the walls of the neurons on their own as they are water-soluble and the cell walls are made of fat. Water and oil (fat) do not mix. 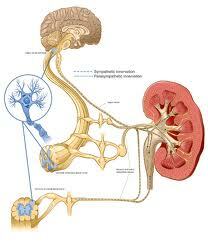 The transporters remedy this by escorting the neurotransmitters in and out of the neurons. When there is damage to the neurons, a signal is sent throughout the body to all the transporters that tells them to alter the flow or neurotransmitters in a way to try and compensate for the problem. When the damage is minor, the transporters can compensate for neurotransmitter imbalances by utilizing nutrients from a healthy diet. However, when significant damage occurs, properly balanced amino acid therapy needs to be used to correct the problem. 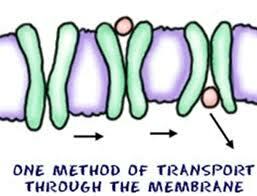 A special transporter called the ‘organic cation transporter (OCT) is primarily responsible for the transport of serotonin and the catecholamines (dopamine, norepinephrine, and epinephrine) as well as their amino acid precursors across the cell wall. These transporters are found throughout the body in many tissues, including the kidneys, gut, liver as well as the brain and function similarly in all tissues throughout the body. This means that if we affect change to the OCTs with amino acid therapy it affects all the OCTs throughout the entire body. This is very important. When we run a ‘neurotransmitter test’ what we are really doing is determining the functional status of these OCTs in the kidneys in relation to a given amount of amino acids. By giving the body properly balanced amino acid therapy we can define the exact amounts of neurotransmitters and amino acids needed to restore proper functioning of the OCTs in the kidneys. However, because this also affects the OCTs in all the other tissues, including the brain in exactly the same way, testing the urinary excretion of neurotransmitters while taking a known amount of balanced amino acids allows us to restore proper functioning within the brain. This restores the flow of electricity in the neurons and leads to the relief of symptoms. So what we are really doing is using amino acid therapy to help optimize the function of the OCTs in the neurons to facilitate proper signaling. (11) This is akin to unscrambling the messages so that the brain gets the proper signals. When the signals are no longer crossed, your body sends the right signals, your symptoms disappear and you get your life back. Organic Cation Transporter (OCT) Assay Interpretation is a mouthful, but it is the proper name of the “neurotransmitter test” that is clinical useful. To my knowledge, it is only being conducted by one lab in the United States – DBS Labs, in Duluth, MN. This simple urine test allows us to measure your unique response to your amino acid therapy so that we can customize your amino acid therapy specifically to you. The beauty of these tests is that they allow us to pinpoint your exact amino acid needs so you can be assured you are getting everything you need and nothing you don’t. If this explanation is too much science for you, don’t worry. Amino acid therapy works whether or not you understand why it works. The only thing you have to do is make sure that you are working with a practitioner that is properly trained in the use of amino acid therapy and OCT Assay Interpretation. You can contact us for more information or contact Alvin Stein, MD to get a referral for a practitioner in your area. Amino acid therapy works whether or not you understand why it works. I am very interested in your method. I’ve been on every ssri out there, and currently on 75 mgs elavil, 10 mgs Pamelor, 10 mgs of Paxil, plus lamotrigine, and neurontin. If I would be urine tested, wouldn’t these show up in the urine? I’m trying to get off the lamotrigine, it never helped anything, but it’s hard to come off. What would you suggest as far as the ssris I’m on, and where to go from here. I’m in Pittsburgh PA, do you have any providers in my area? I would appreciate any advice you could give me. Hi Vicki- To get started, I would suggest you first contact NeuroSupport to see if there is a provider in your area: http://www.neurosupport.com; if not, please contact us and set up an initial phone/skype consultation and we’ll be happy to work with you. Has the amino acid therapy worked with those who suffer from cervical dystonia? We have worked with several people with various types of dystonia, but never cervical dystonia. In most cases, we’ve been able to help them get relief from their symptoms. Terrific! Please contact us to learn more and set up an initial consultation: http://amino-acid-therapy.com/contact-us/. Hi, I am very interested in learning more about amino acid therapy. I have been reading about and using amino acids for about 4 years, but have a hard time finding how I would go about getting “properly trained in the use of amino acid therapy and OCT Assay Interpretation” as you mention in this article. Can you direct me to programs where I could become properly trained in the use of amino acid therapy? Thanks for any help. Hi Michelle – if you are interested in training and are a health care professional, please visit http://www.neurosupport.com. It seems the neurosupport web site is not currently working. Hi Jeff – we do not have a list of providers; you’ll have to contact NeuroResearch once their site maintenance is completed. I am recently diagnosed with Parkinsons. Mucuna, l-cysteine, l-tyrosine and 5-HTP. But I need the support of OCT assay interpretation. Is this service available in Britain or Europe? Hi Dave – thanks for contacting us; we are not currently taking additional international clients at this time, but may begin again this fall, so you can contact us in Sept/Oct to find out. I do not believe there are any other providers working with international clients, but you can check with NeuroResearch to find out: http://www.neurosupport.com. Cannot find a therapist in northern ca. Is there a problem with taking the products you offer without a therapist? Finding the optimal dose usually takes several months with proper guidance and testing, which would require professional assistance. In all but the most easy cases, we have found it necessary to work with someone that is well versed in amino acid therapy. If you haven’t already done so, I suggest you contact NeuroResearch to see if they can find a provider for you: http://www.neurosupport.com. hi ,live in Greece stopping gradually amilsypride (now at 100 mg)and want to boost naturally my tired electrical nervous system:)been taking risperdal for 19 years and 3 years amilsupride afterwards for unkwown form anxiety disorder but the meds didnt help me almost at all,only retaining fake body emotion feelings! !i am very angry right now ,as i have the right to be with all those motenized psychiatrists of the a$$,which told me to take them forever,but then i didnt have internet access so to find out that if you gradually reduce them only after 1 year,you have 90 % success ratio of returning back to your normal state.do you do skype consulting,if so can you inform me about the price? Hi George – thanks for contacting us; unfortunately, we are not accepting new clients at this time; however, I suggest you contact NeuroResearch to see if they can find someone to help: http://www.neurosupport.com. In additoin, yo umay also want to contact Parkinson’s Clinics International: https://parkinsonsclinics.com/index.php.